An article published in "Faith Magazine" about Oscar Romero's close relationship with St Josemaría and the spirituality of Opus Dei. He will be canonised this Sunday (October 14th) in Rome by Pope Francis. 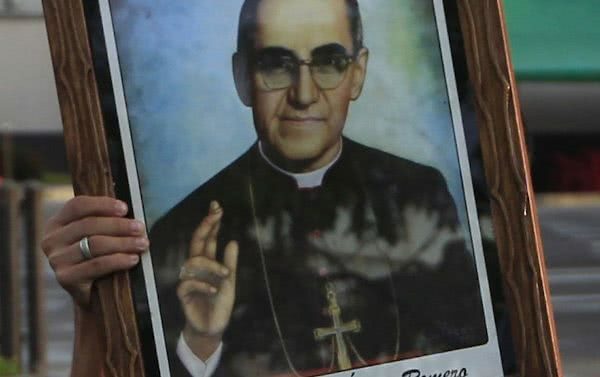 When Archbishop Oscar Romero is canonised on Sunday, it will not be because he is the “Liberation Theology” hero some have tried to make of him. Rather it will be because he was a man of God who proclaimed the gospel courageously, even at the cost of his life. Romero was a holy archbishop who witnessed to Christ in turbulent times in the Central American republic of El Salvador before a gunman took his life while he was celebrating Mass on 24 March 24 1980. At a time when Marxist guerrillas were pitted against an authoritarian military regime, Romero sought a peaceful solution. And though his opposition to the junta finally caused his death (he was killed by a hit squad working for the government) and he was outspoken in the face of social injustice and political oppression, he knew that neither Marxism nor class struggle offered any solutions. What many people do not know is how much spiritual support Archbishop Romero received from Opus Dei. Indeed, the day he was assassinated, he spent the morning at a recollection for priests organised by Opus Dei. Afterwards he was accompanied by Fernando Sáenz, a Spanish Opus Dei priest who was a close friend of his and who would later succeed him as archbishop, to the church where he was to celebrate Mass. En route he stopped at the Jesuit house in Santa Tecla to go to confession. That evening he was dead, killed by a hitman’s bullet. When Romero was first asked to be bishop – his first appointment as an auxiliary – he consulted with Sáenz, then his spiritual director. Helped by him he accepted the task with, as he wrote in his personal diary, a spirit of sacrifice requiring “an intense life of prayer and mortification.” Did he possibly foresee his future destiny when he added: “The Good Shepherd gives his life for his sheep”? Opus Dei’s founder, Saint Josemaría Escrivá, and Archbishop Romero had known each other since 1955. In 1974 Romero came to Rome and had several conversations with the future saint. Escrivá was concerned that the Archbishop should have the opportunity to rest during his stay in Rome, because he realised the tense situation he faced back in El Salvador. And he continued: “Personally, I owe deep gratitude to the priests involved with the Work [Opus Dei], to whom I have entrusted with much satisfaction the spiritual direction of my own life and that of other priests." In a later diary entry – this one of 6 September 1979 – Archbishop Romero wrote that Opus Dei “carries out a silent work of deep spirituality among professional people, university students and labourers… I think this is a mine of wealth for our Church—the holiness of the laity in their own profession." 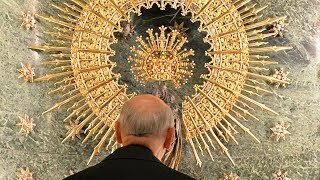 The relationship between Romero and Opus Dei shows how empty “left" and “right” labels are when talking of spiritual realities, and particularly the Catholic Church. To depict Romero as a “left-wing” hero is to misunderstand profoundly the man and his mission. And such a “labelling” mentality would also misunderstand Opus Dei, whose members are as free as any other Catholic to follow whatever political option they consider best, as long as it does not contradict Church doctrine or moral teaching. Thus the future Saint Oscar Romero can inspire us to be active in standing up for social justice, while reminding us that our efforts must be rooted in a deep relationship with Christ. To this end Romero found support from the spirit of Opus Dei, whose members will be among the first to seek his intercession in their own efforts to mould society according to Christian values. 4. Commentary on the Gospel: "He loved them to the end"